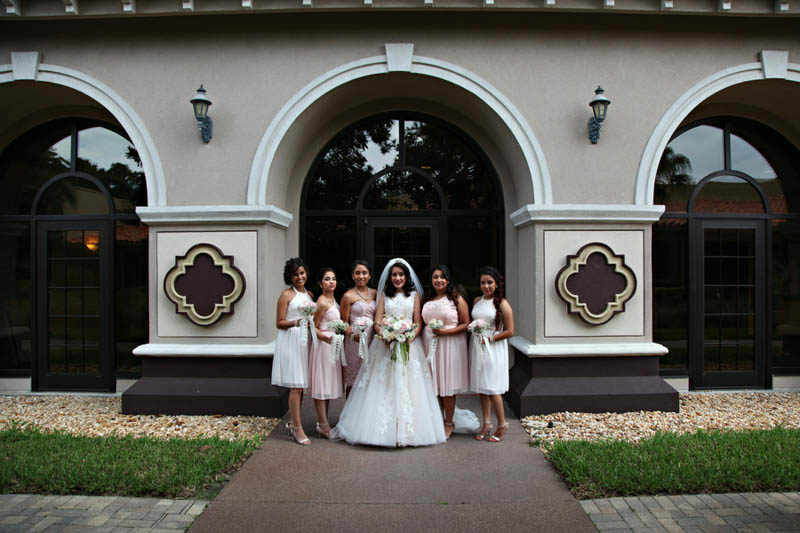 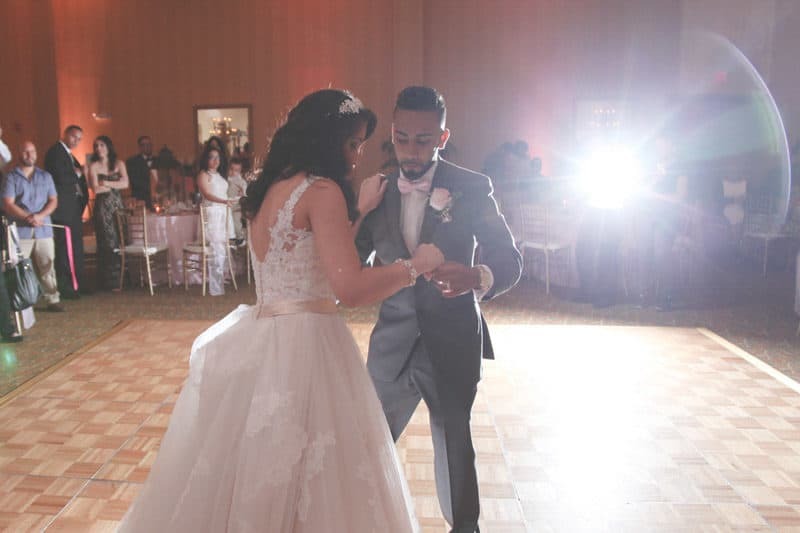 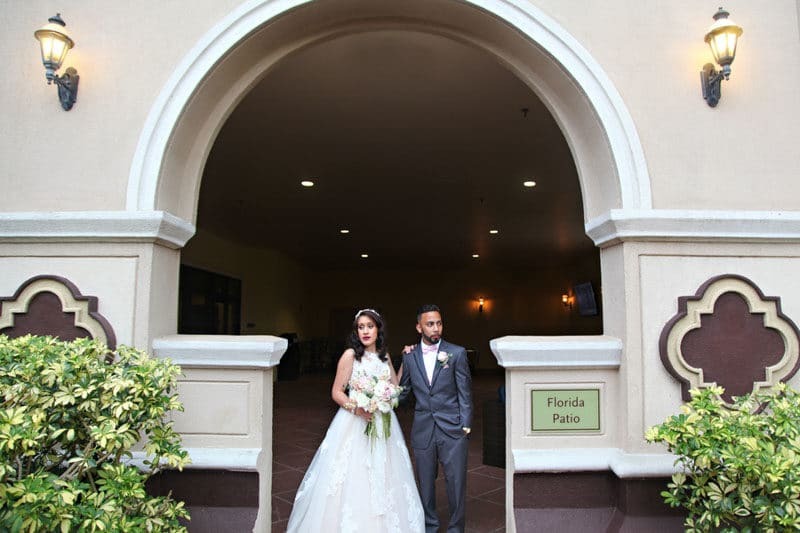 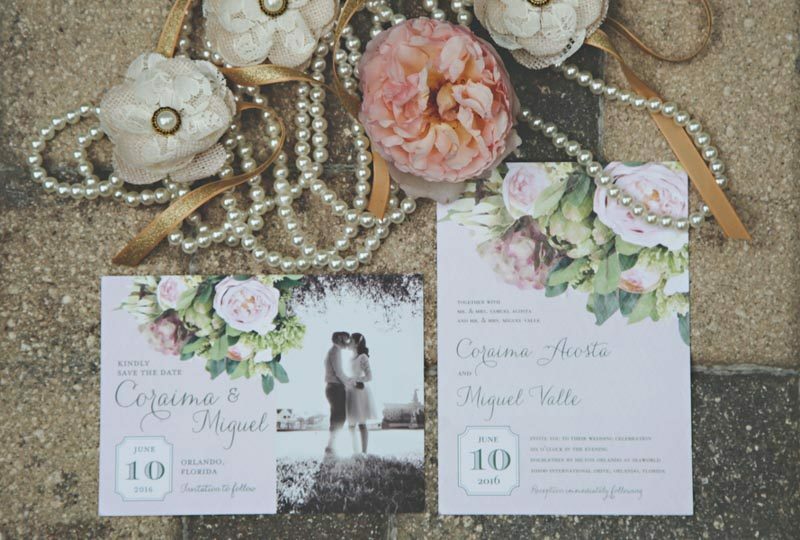 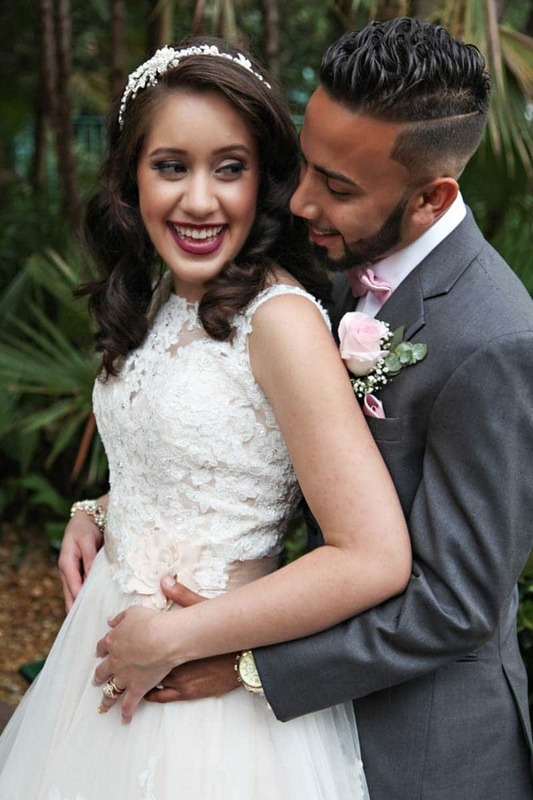 Cora and Miguel envisioned an elegant wedding at the DoubleTree by Hilton at SeaWorld reflecting their vintage style and a great team of vendors brought their vision to life. 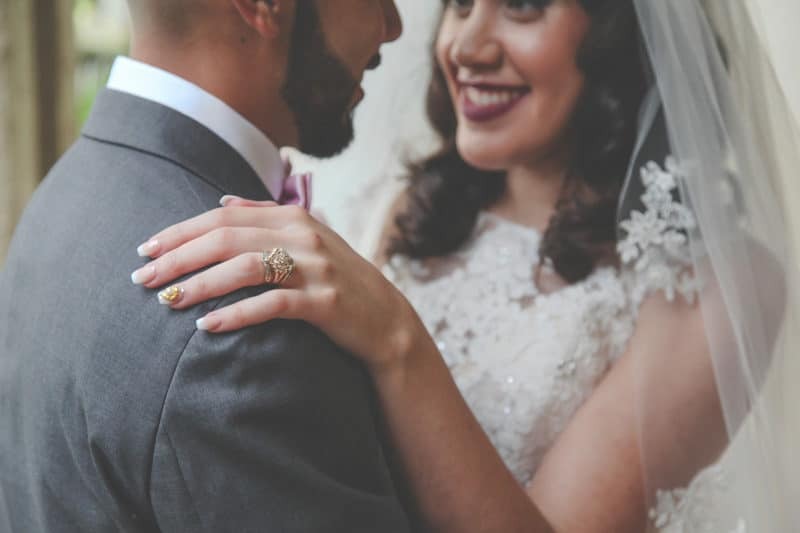 The day started with Bella Con Stile creating a beautiful vintage look for Cora that included a lovely deep lip color. 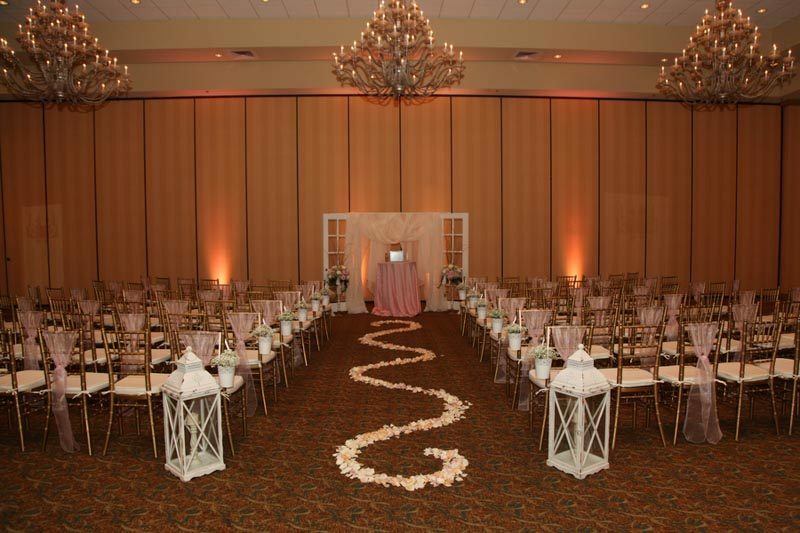 For their ceremony, Bluegrass Chic lined the aisle with beautiful florals which lead to an alter framed by vintage doors. 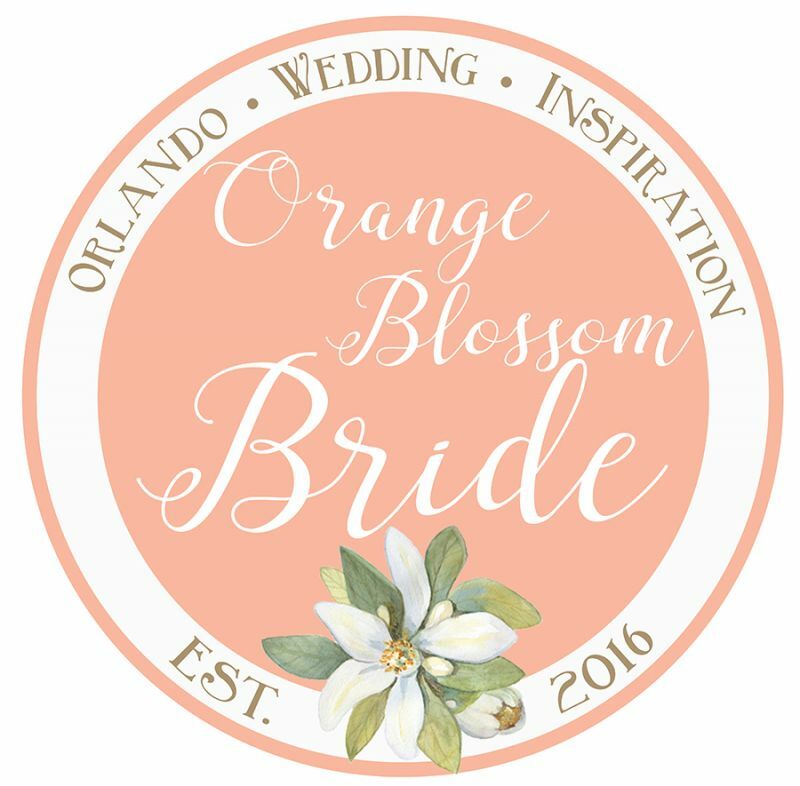 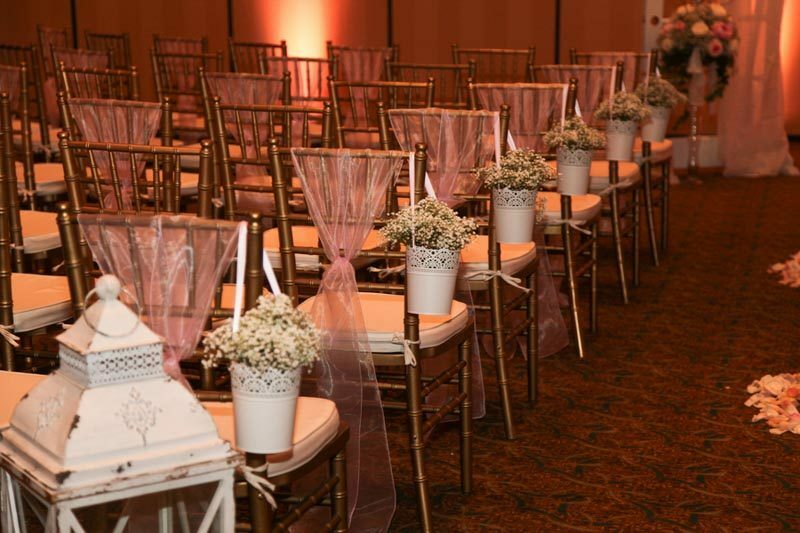 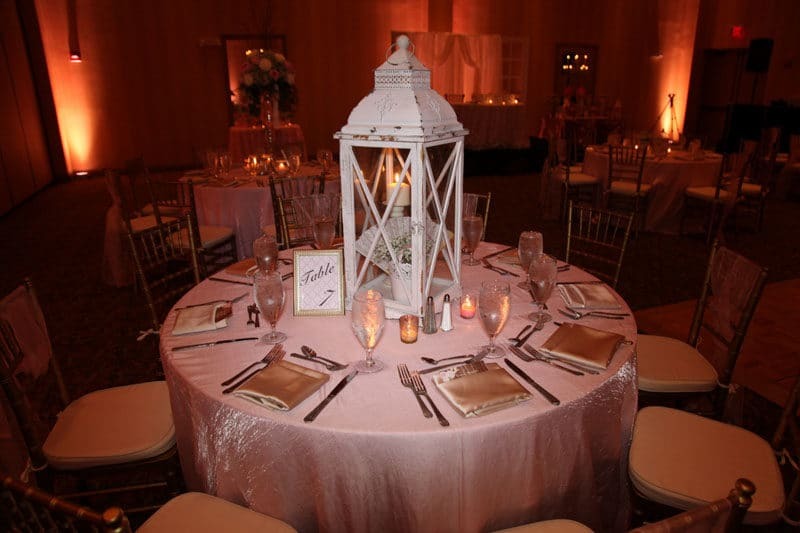 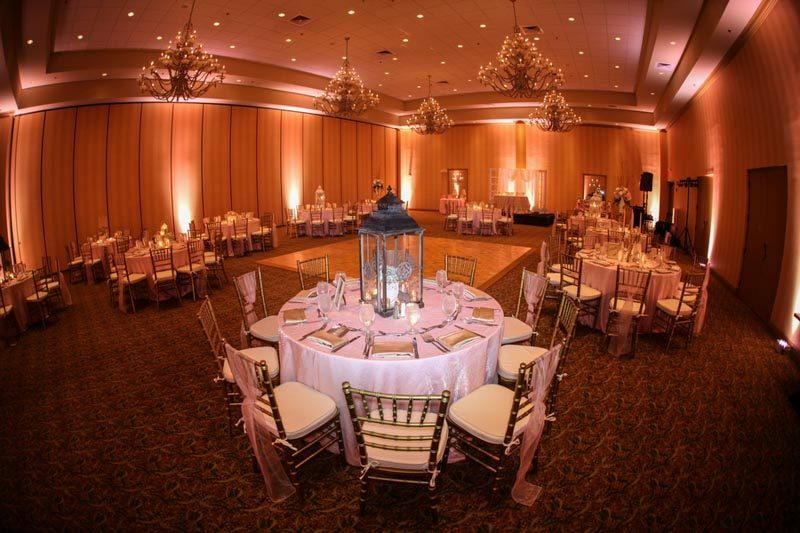 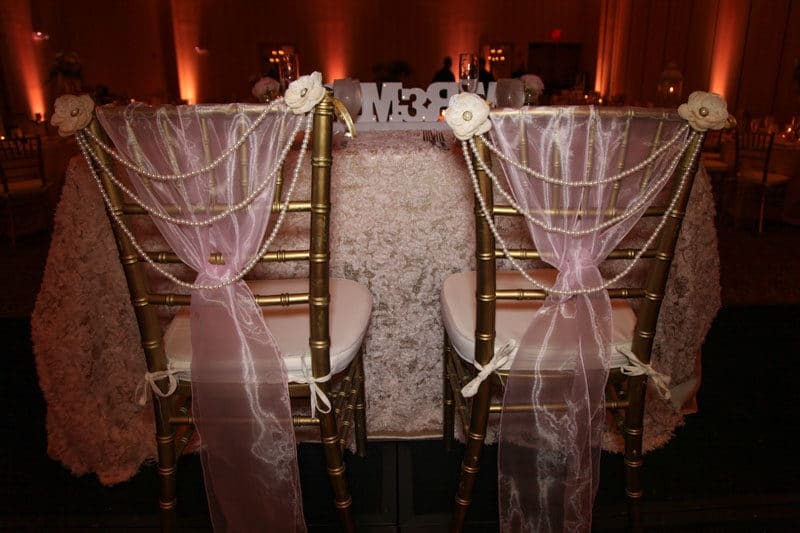 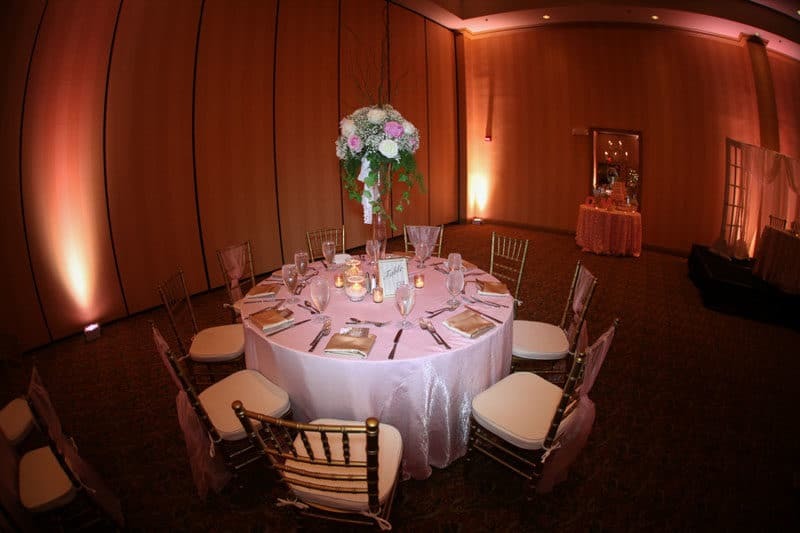 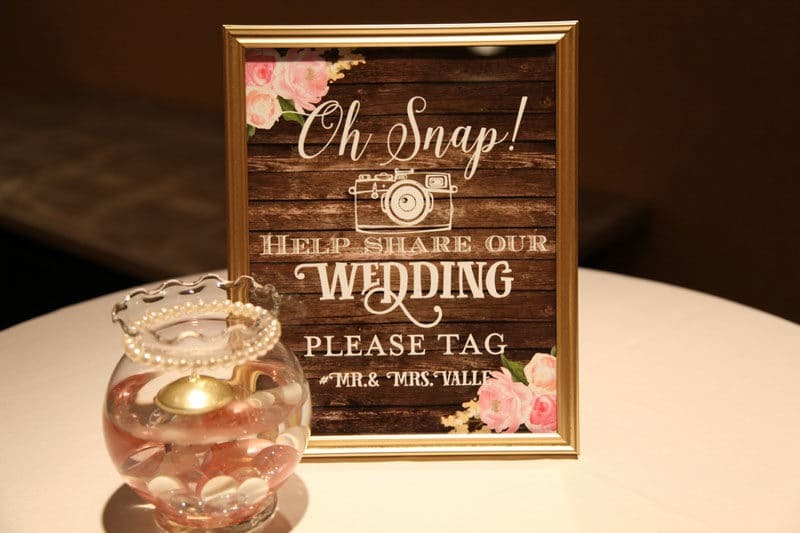 The blush and gold color palette was continued through to the reception with gold Chiavari chairs, blush linens, and an assortment of lanterns as centerpieces. 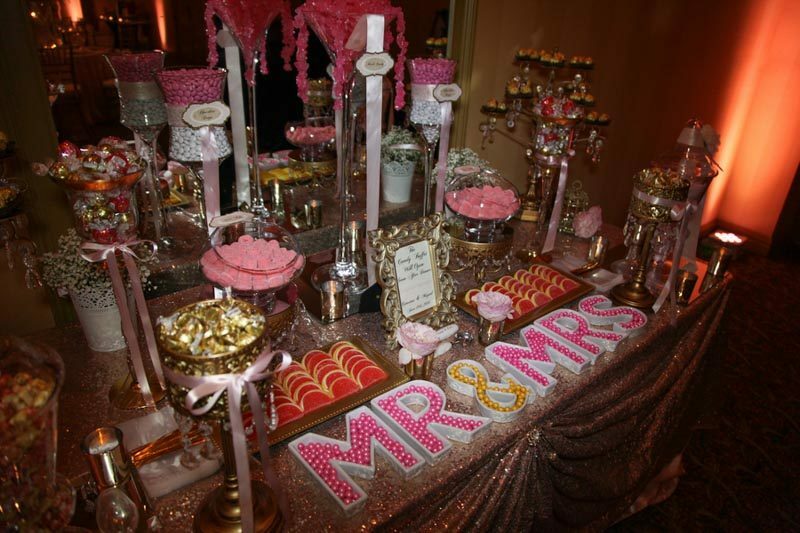 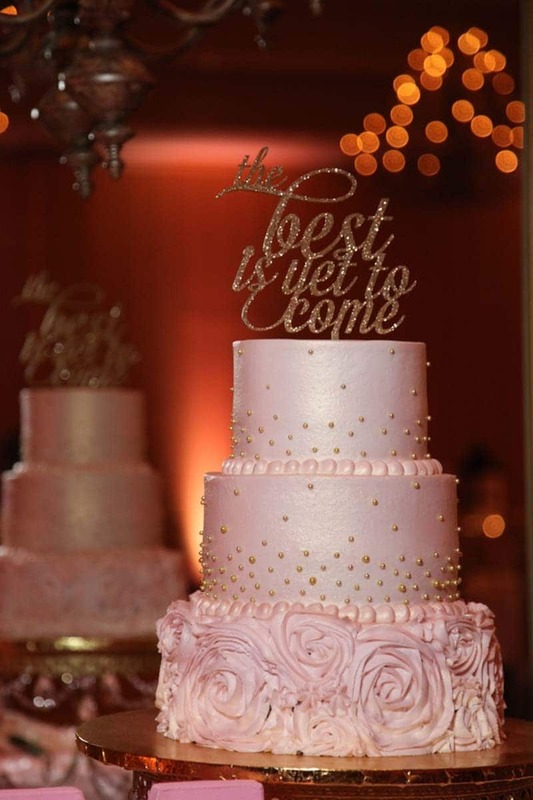 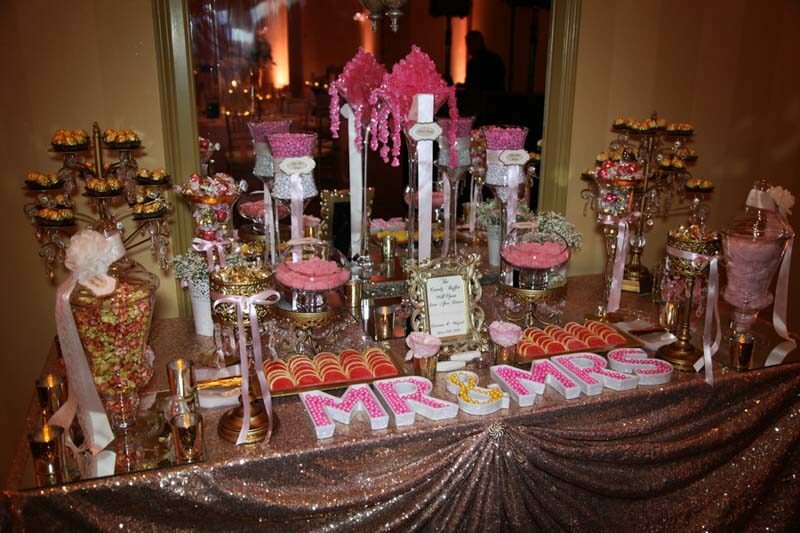 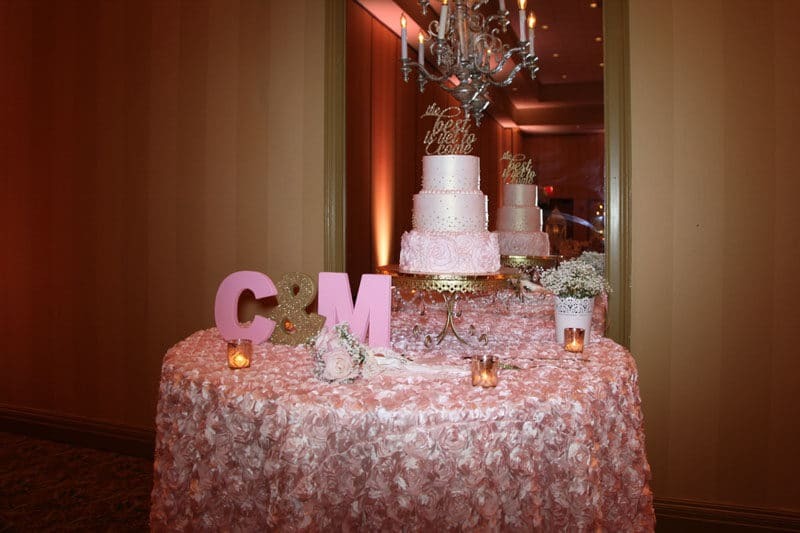 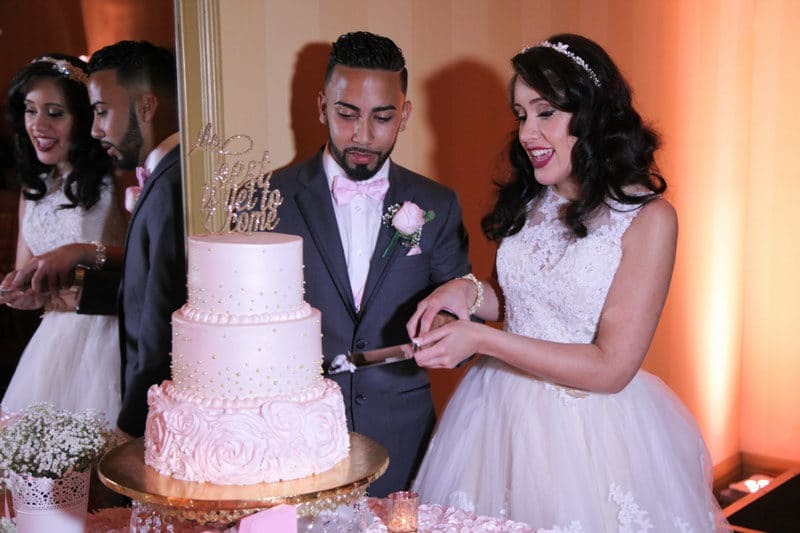 For dessert, guests enjoyed a blush buttercream cake by Cut the Cake and a candy buffet by Florida Candy Buffet. 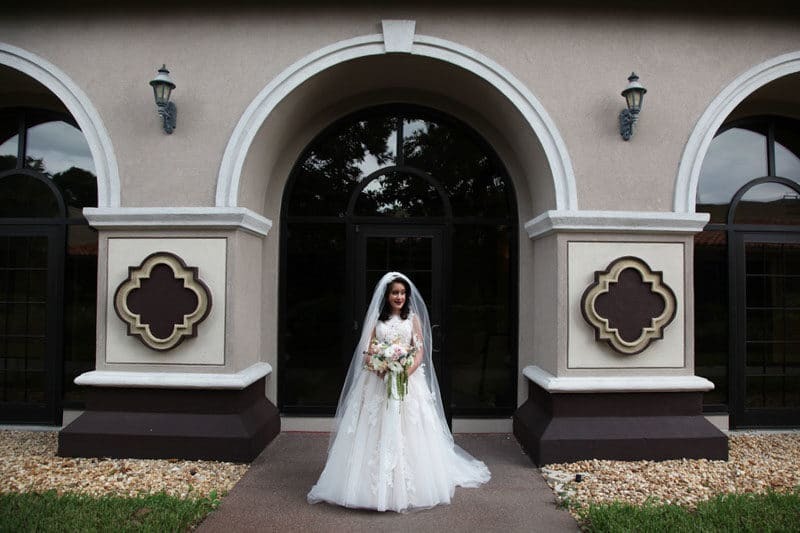 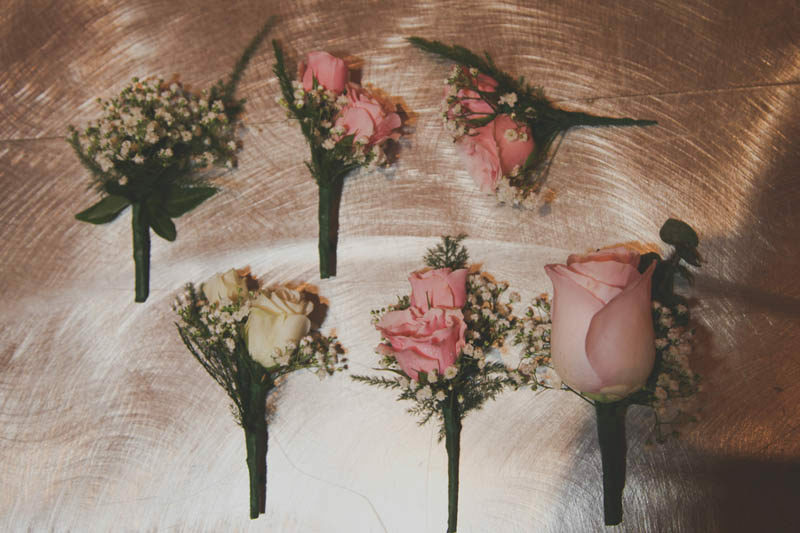 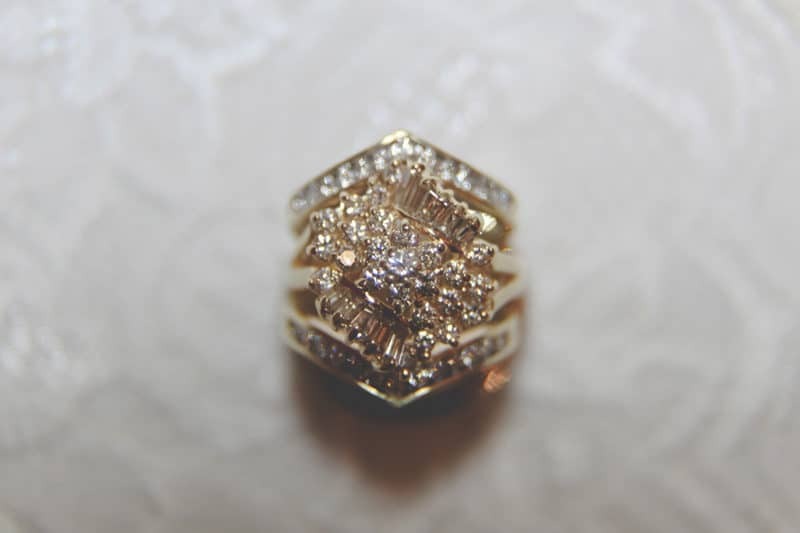 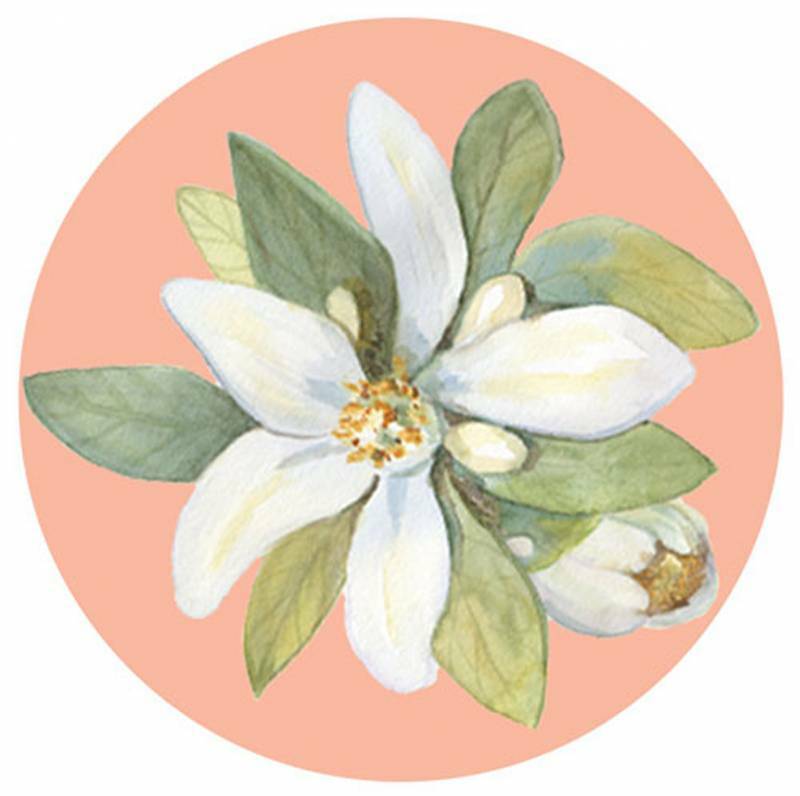 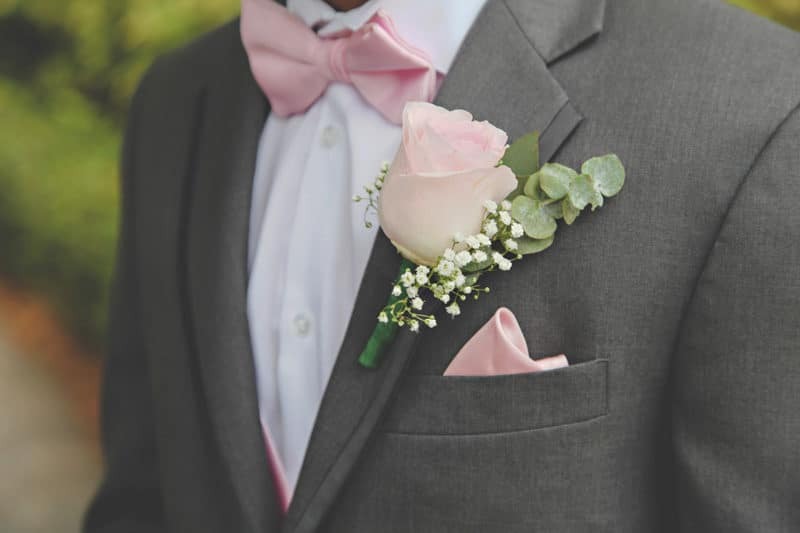 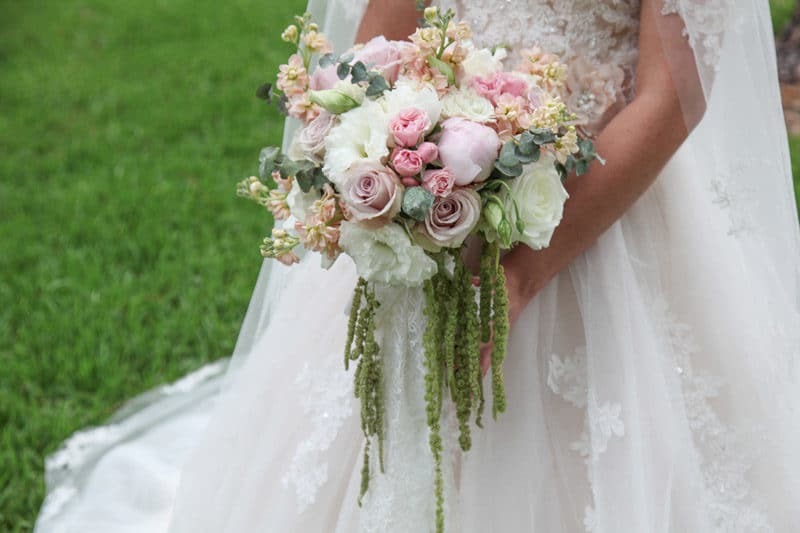 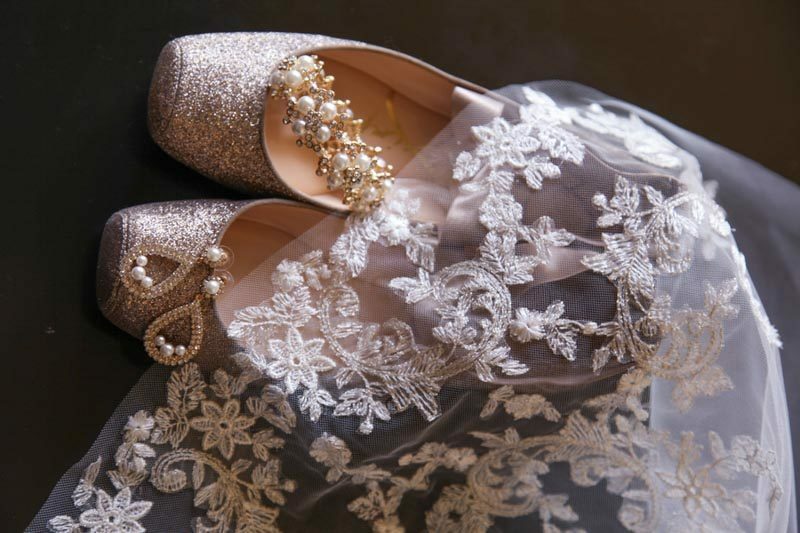 The day was beautifully captured by Tabitha Photography and planned by Designer Weddings by Carly Rose.